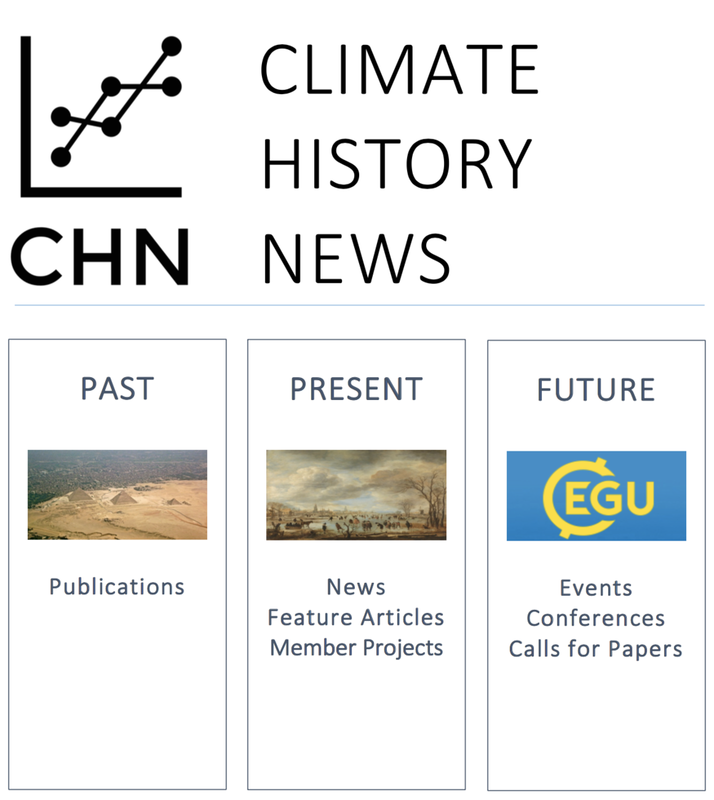 Nicholas Cunigan, our newsletter editor, has published the Winter 2018 issue of our Climate History Newsletter. You'll find podcast links, feature article summaries, calls for papers, conference updates, and our usual list of new scholarship. You'll also find an exciting announcement about our new Past Global Changes (PAGES) working group. Ancient historians rely on “human archives” (historical narratives, inscriptions, coin hoards, papyrus archives, etc.) to reconstruct historic events, and social, economic, political and cultural systems among the Greeks, Romans and their neighbors. These historians are trained to read human archives with all their subjectivity and errors in recording and transmission. Palaeoclimatologists read and interpret “natural archives” to assess changes in climatic and environmental conditions in the past. Palaeoclimate archives include organic (tree rings, corals) and inorganic materials (speleothems, lake and marine sediments, ice cores) and represent a treasure trove for accessing a whole new set of statistical and quantitative, usually highly resolved data of precisely dated information about past climate and environmental conditions. Natural archives also come with their inherent difficulties including qualitative and quantitative variations by region and period, temporal resolution, dating uncertainties, and climate information they resolve (temperature, precipitation, sunshine duration, drought, sea level changes, pH, sea water temperature, streamflow changes, etc.). Not only are ancient historians and palaeoclimatologists often working on the same period and region, palaeoclimatologists also have to rely on historical documents as climate proxies for reconstructing climate in the past and need the help of historians for properly interpreting them. A closer collaboration between the two fields and a convergence of evidence from both disciplines will thus not only help to clarify the picture of past climates, but also widen our knowledge about the interaction between climate change, environmental stress, and socio-political systems. In recent years, a new discipline, coined “historical climatology”, has been established crossing the traditional division between historians and the natural sciences and combining their two approaches. 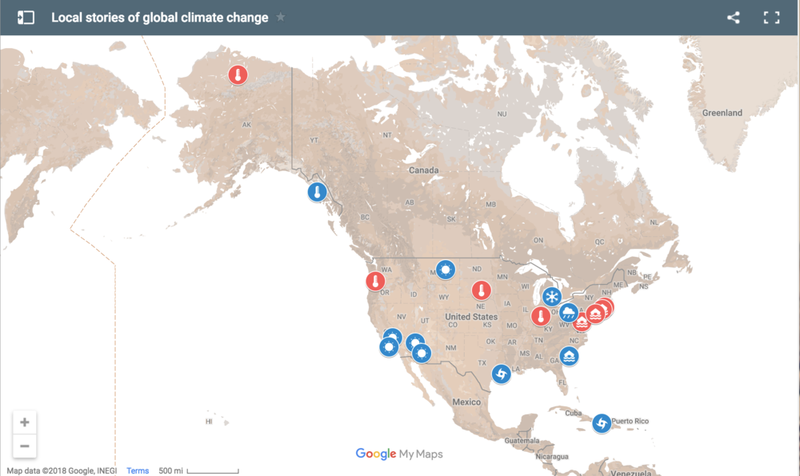 Historical climatologists are studying the connectures between human and climate history, especially the impact of environmental change on past societies, and human resilience and mitigations strategies when faced with climate variability and climate change. Switzerland has been at the forefront of climate research for the past few decades. “The Basel Climate Science and Ancient History Lab” is directing the focus on the impact of climate variability and climate change on societies in the ancient Mediterranean and in particular on the society of Graeco-Roman Egypt. Egypt in particular provides a unique historical laboratory in which to study social vulnerability and responses to climate and environmental change thanks to its extraordinarily rich evidence unparalleled for any other region of the ancient world. In this colloquium we want to discuss the challenges connected to a joint interpretation of human and natural archives in the ancient Mediterranean, the problems inherent in a collaboration between ancient historians and the natural sciences (terminology, project design, publication culture), methods to solve discrepancies between information gained from the textual and archaeological evidence on the one hand and tree rings, ice cores and speleothems on the other one, the methodological difficulties in distinguishing between correlation and causality, and methods of assessing the impact of climatic variability or change on ancient societies without oversimplifying their causal connections. The impact of climate on past societies need to be assessed in a holistic venture, integrating and synthesizing traditional classical scholarship with the most advanced scientific methods in a manner which does not privilege data from one field over another. The keynote lecture will be delivered by Jürg Luterbacher (Giessen) on “Reconstructing Climate back to Greek and Roman Times: Challenges, Opportunities, and Uncertainties”. Ancient historians and paleoclimatologists interested in starting a dialogue should send expressions of interest, along with short abstracts (not exceeding 300 words) to Prof. Sabine R. Huebner, Institute of Ancient History, University of Basel/Switzerland (sabine.huebner@unibas.ch). Please include the full title of your talk and a brief biographical note on your academic affiliation and previous research. PhD candidates are encouraged to apply as well. The deadline for submitting abstracts is May 31, 2018. A forthcoming paper in Environment and History analyzes the climate history of Zululand during the 19th century. Relying on historical climate data produced in collaboration with this analysis, the paper complicates narratives relating social unrest in Zululand by emphasizing that responses to climatic changes were contingent on local leadership, changing social structures, and even changes in leadership. The paper offers not only an informative look at Zululand, but an example of productive collaboration between historians and researchers in the sciences, as well as an example of the complex relationships between climate and society. Read the full paper here.